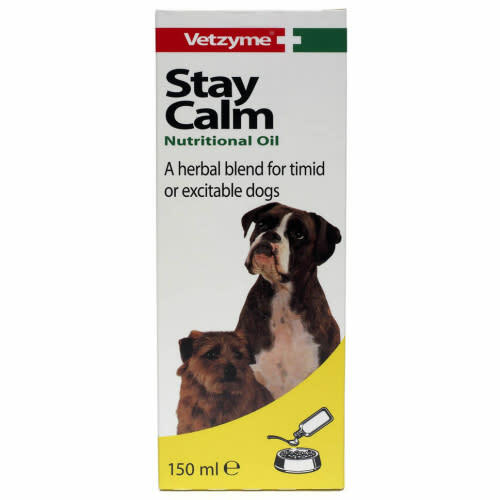 Vetzyme Stay Calm Nutritional Oil is a herbal blend for timid or excitable dogs. Add to their food to help calm and relax your pet. This Stay Calm oil formula contains a unique blend of Chamomile and Ginger oils. Research has shown that Chamomile and Ginger herbs possess calming, relaxant and soothing properties. Feeding Vetzyme Stay Calm Nutritional Oil will help to keep your dog calm and relaxed.